Day Wave, the dream pop project of vocalist/multi-instrumentalist Jackson Philips shares a shimmering new song called “Wasting Time,” which is available now on Fiction Records. 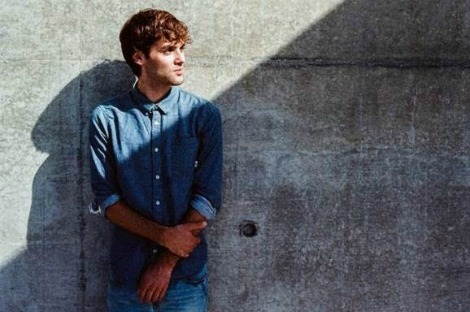 Jackson Philips introduced the world to Day Wave in 2015 with his sun-drenched first single “Drag,” which received support from BBC Radio 1, 6 Music, Absolute and Zane Lowe. The signature ethereal guitar pop of Day Wave‘s two EPs, 2015’s Headcase and 2016’s Hard To Read, won further critical acclaim from the likes of The Guardian, NME, DIY, Buzzfeed, and more. Day Wave has since played Lollapalooza and toured with Albert Hammond, Jr. and Blonde Redhead. After a triumphant SXSW earlier this year, at which Day Wave was one of the most talked about acts, the band are now on a mini tour of the US and are set to return to the UK in 2017. This follows a run of UK shows in May this year, including two sold out London dates.